Here I am with another product review. It's feels like such a long time since I published product-review-article. I start to alternate my article between a product review article, thematic article like my favorites Canmake products, fashion article, travel diary #TravelWithJeanMilka, and also a video tutorial. I am actually very confused about what you girls like to see. Is it a product review of newly lunch product? a video tutorial? or my most favorites beauty product? did you prefer a video or blog post? I am very confused. I really want to present something that you like and also useful for you girls, so... if you have anything in mind, let me know. You can contact me anywhere, I listed my contact down bellow. Because I talk about high end foundation most of the times, either on my blog or my tutorial. This past months I tried to find an affordable makeup base that is also light enough for everyday use. I told you that I am having such a bad breakouts lately and I try to minimizing the use of makeup especially a heavy, full-coverage foundation. Dig up my makeup stash, I found this BB cream from Skin Aqua. I believe you heard me say that I don't like BB cream for nearly a thousand times. I was very skeptical to trying this out, but once I did, I am quite like it for a light, everyday base just to even out my skin tone. 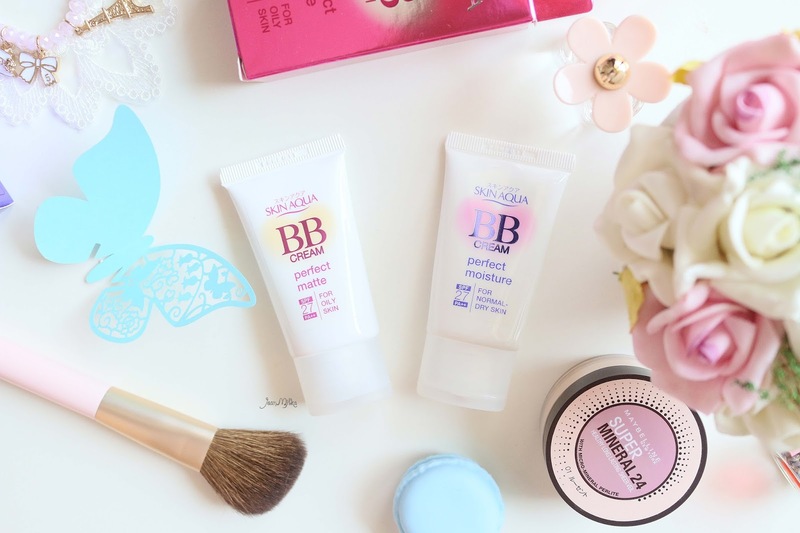 Skin Aqua BB Cream comes in 2 formula : Perfect Moisture for normal to dry skin and Perfect Matte for oily skin. 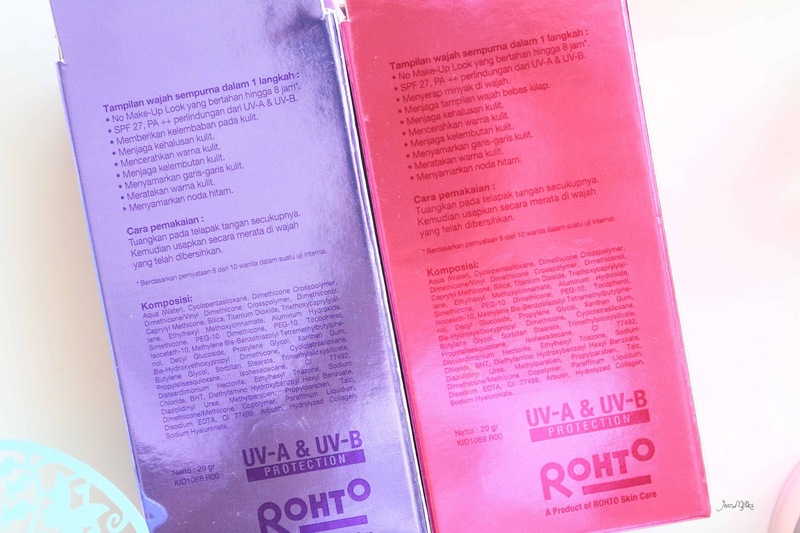 Both of them contains SPF 27/PA++ that can protect your skin for UV-A and UV-B. SPF 27 is not enough to protect your skin all day long from the sun, so I think you still need sunblock with at least SPF 30 underneath. 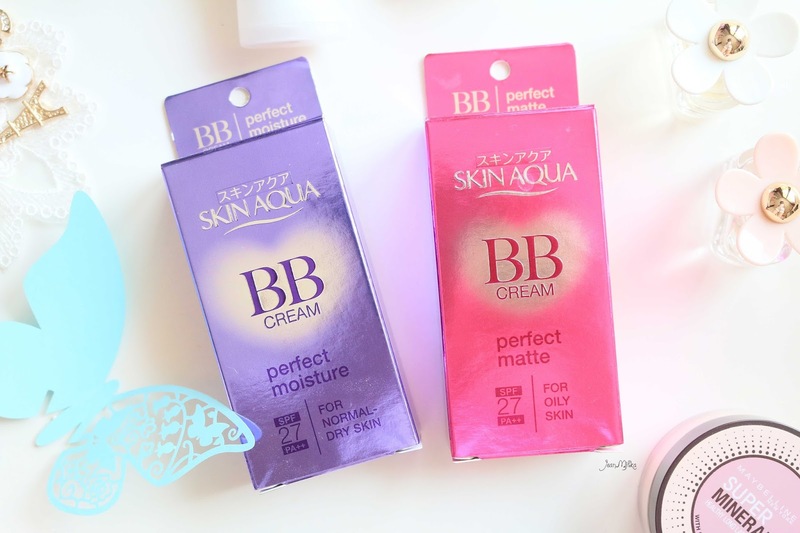 Both Skin Aqua BB Cream, Perfect Moisture and Perfect Matte, are quite matte compare to other BB cream I've tried before. The Perfect Matte is slightly less oily and sometimes could enhances the appearance of dry skins. 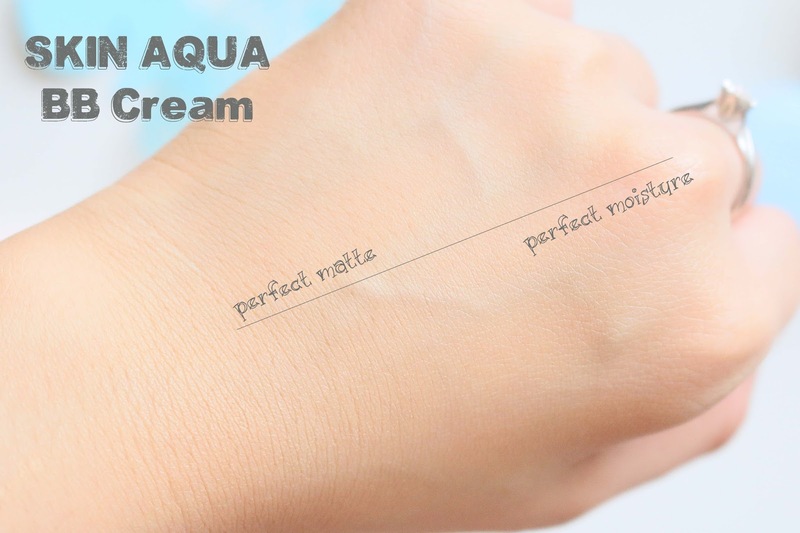 I have dry spot around my pimples that looks slightly more noticeable when I am using Skin Aqua Perfect Matte BB Cream. When I used them side by side, for the first hours the Perfect Moisture looks better. But after 3 hours, the Perfect Moisture start to melted while the Perfect Matte still looks good. I like both of them depends on my needs. 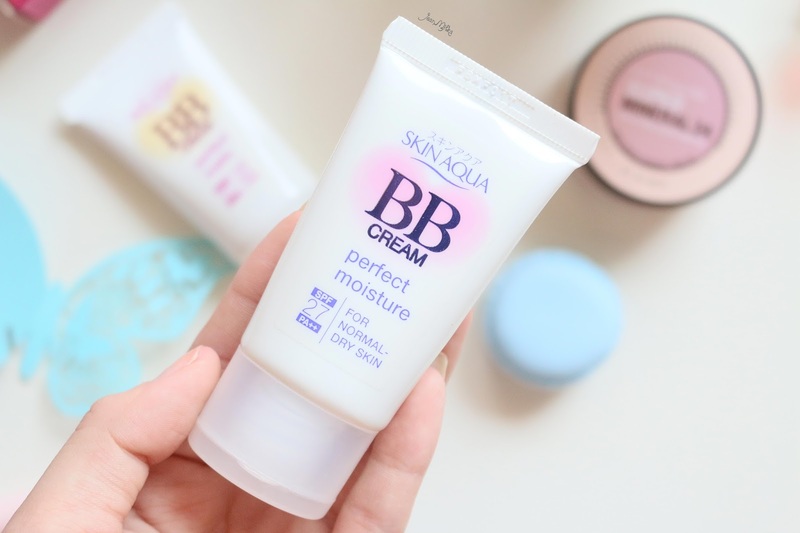 On days when I just go out for a short amount of times, about 1 - 2 hours, let say for lunch or groceries shopping I prefer Skin Aqua Perfect Moisture BB Cream. 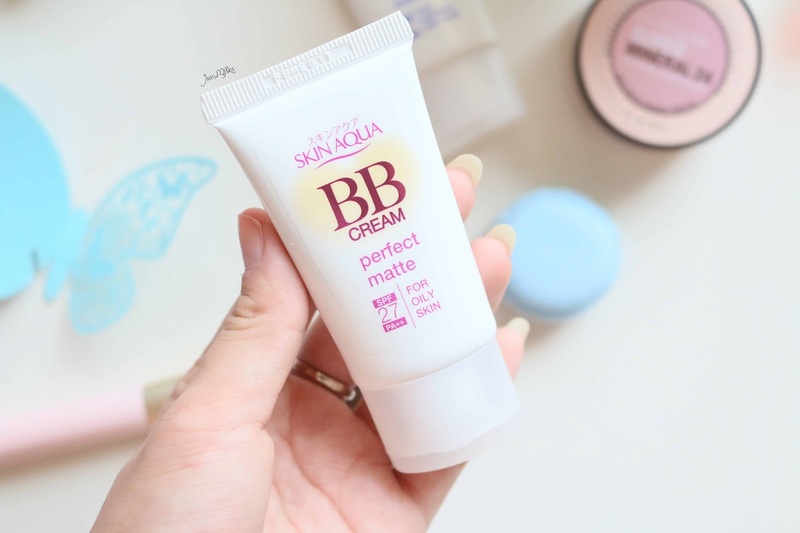 On days when I need a more long-lasting makeup, I prefer Skin Aqua Perfect Matte BB Cream. The down side is that this BB Cream doesn't have any coverage. It's even out my skin tone but I don't see any improvement in covering up my dark spot. Also without a makeup primer, It doesn't cover up my big pores. I even feels like it might clog my pores. Also if you have a cool skin tone, it will looks too yellow for you. Another thing that you might won't like about this product is the color. It's only available in one shade, and the shades is quite yellow. I think it match most of Indonesian skin tone. On me it's fine, but if there are choices I prefer a slightly pale shade. In MAC skin color chart, my skin tone probably fall in NC 25 category, but for foundation I prefer NC 20. 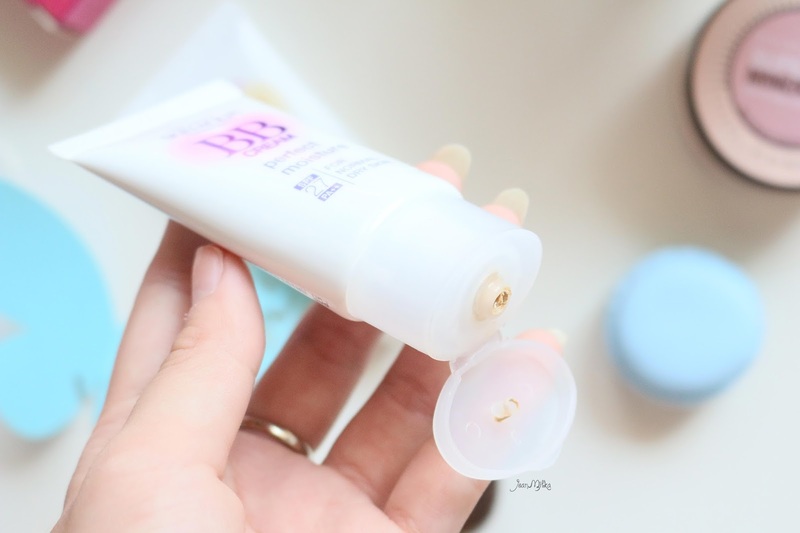 If your skin tone is paler than NC 20, this BB Cream will looks too dark for you. 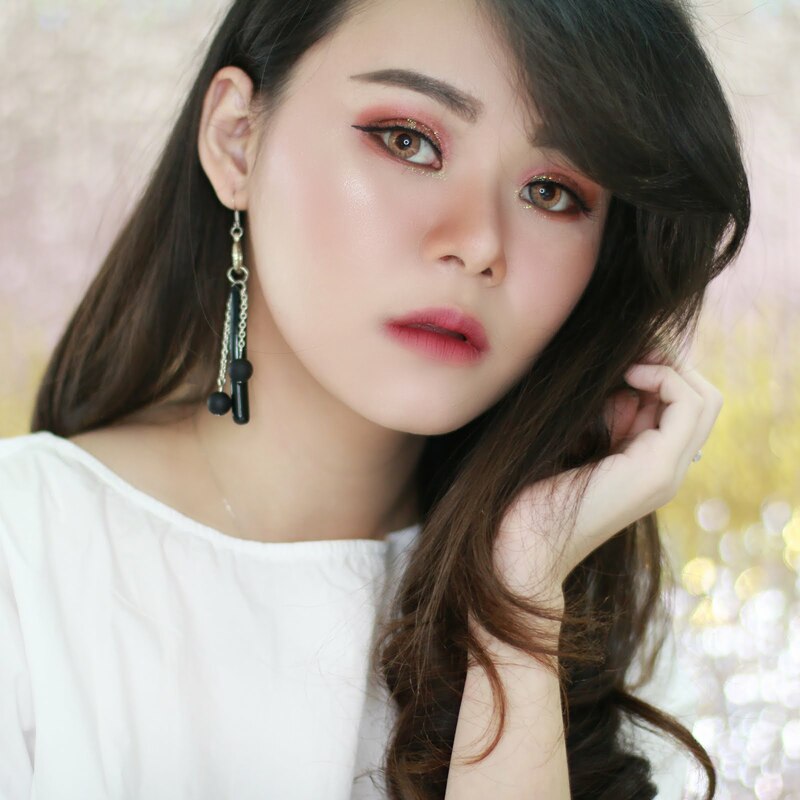 It's perfect for you who is looking for an everyday makeup base that feels light on your skin but even out your skin tone. It last for about 2 - 3 hours. For me, I am using this before and after my fitness routine. If you want medium coverage, you definitely need a concealer. 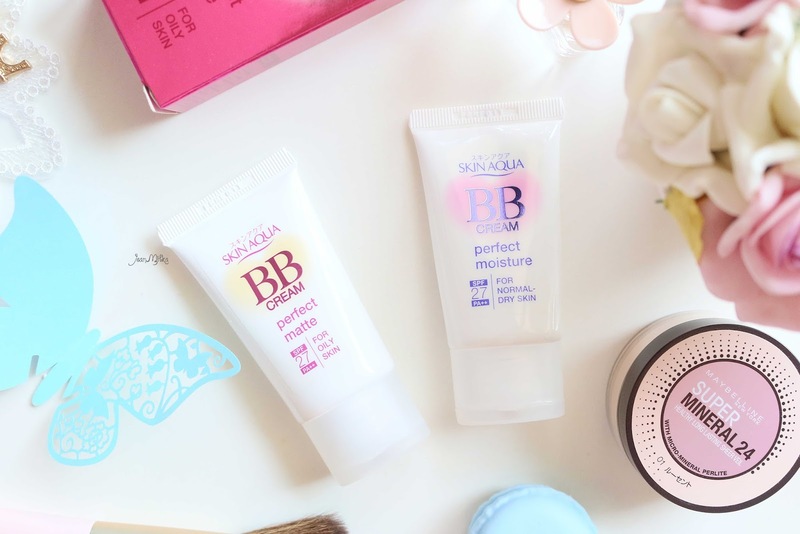 This BB Cream is not build-able and will looks cakey if you apply too much. I don't recommend people with dry skin/dry patches to use this BB Cream. 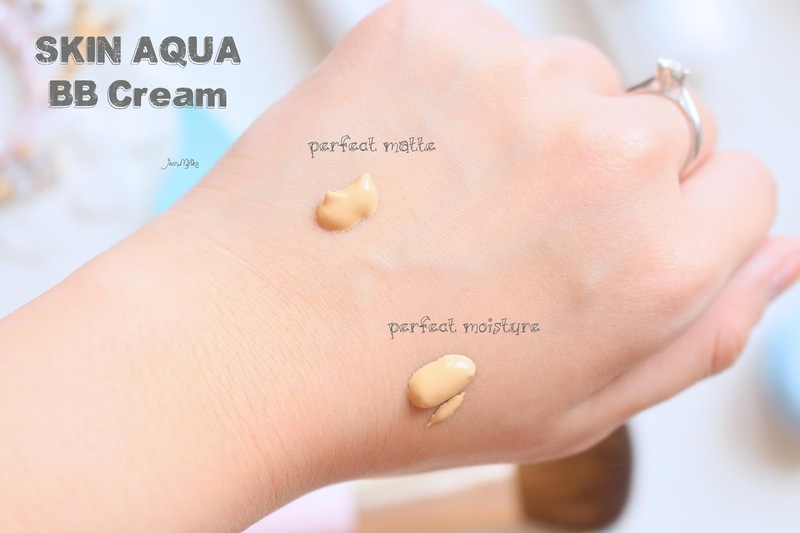 4 komentar on "Drugstore : Skin Aqua BB Cream | Review"
These look nice for everyday wear. Kelihatanya bb creamnya agak kuning langsat ya. Cocok untuk orang indo yg warnanya kuning langsat. Iya agak kuning gitu. Bagusnya mungkin ke orang Indo akan pada cocok, biasanya kan BB Cream itu malah putih banget. Kalau CC Cream memang lebih ringan sich. Aku belum pernah coba CC Cream selain dari Etude House dan itu pun uda lama banget. Favorite kamu apa kah?